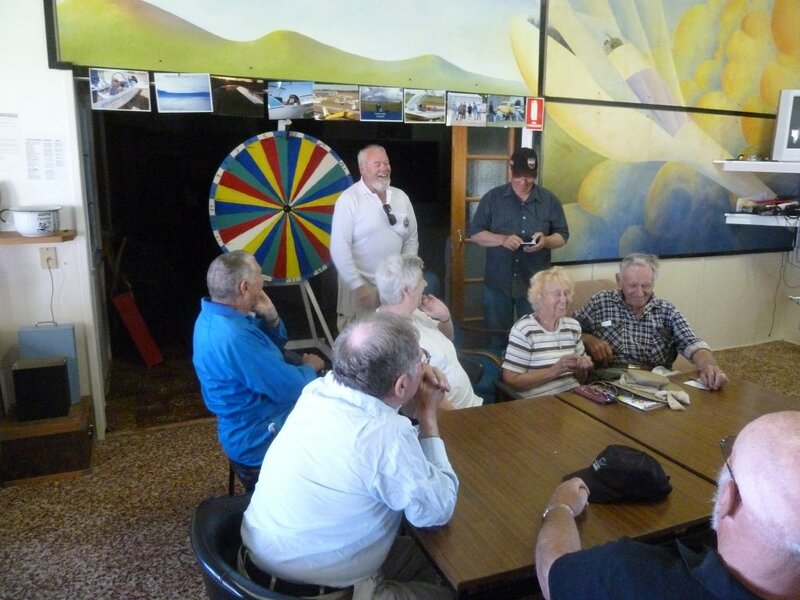 The numbers at Bordertown Vintage Rally 2013 may have been down slightly on last year, but this was more than made up by the great time had by those who were able to come! 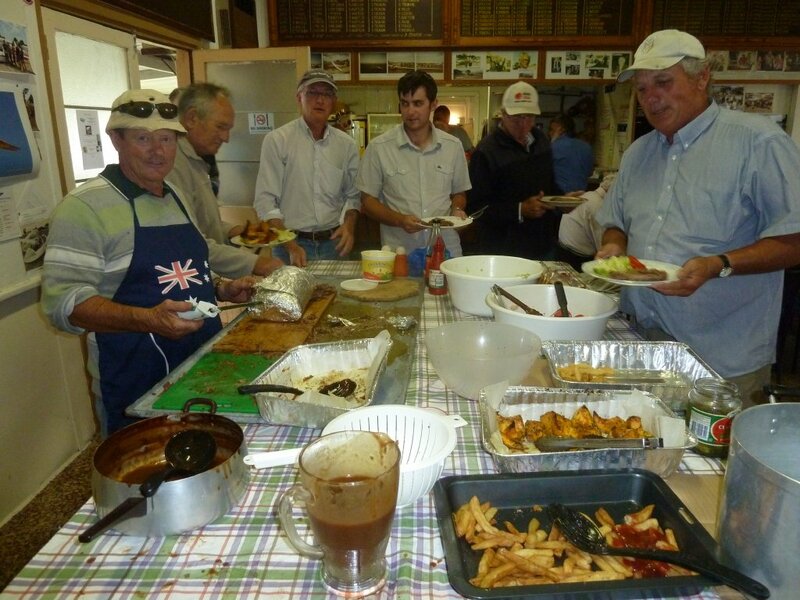 The social and fellowship side of Bordertown continues to grow, briefings were a lot of fun, evening meals were excellent and a great time was had at the Annual Dinner. 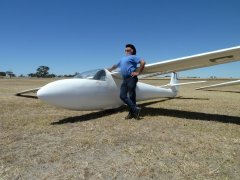 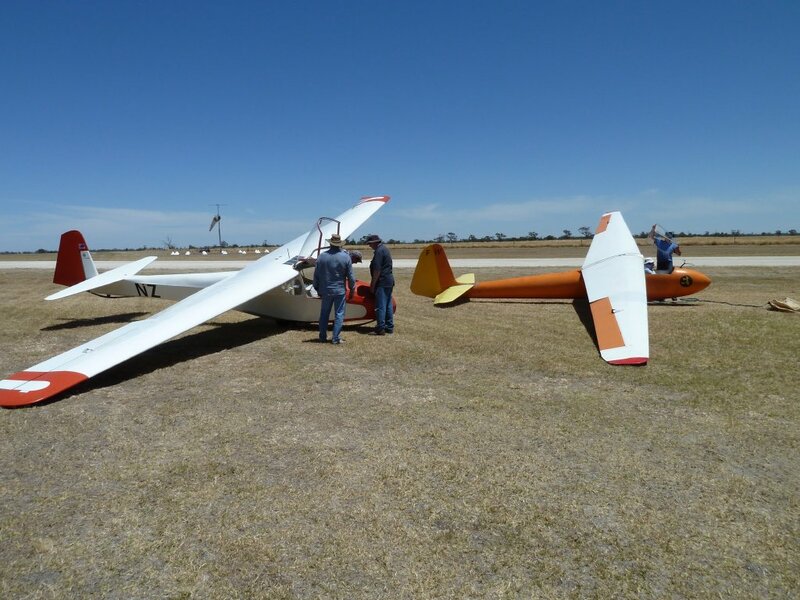 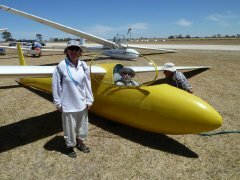 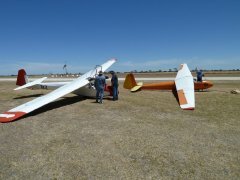 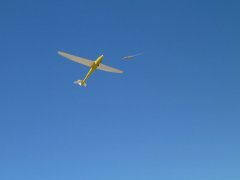 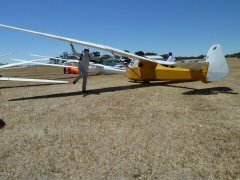 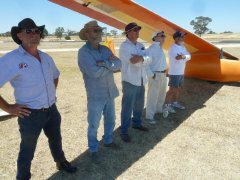 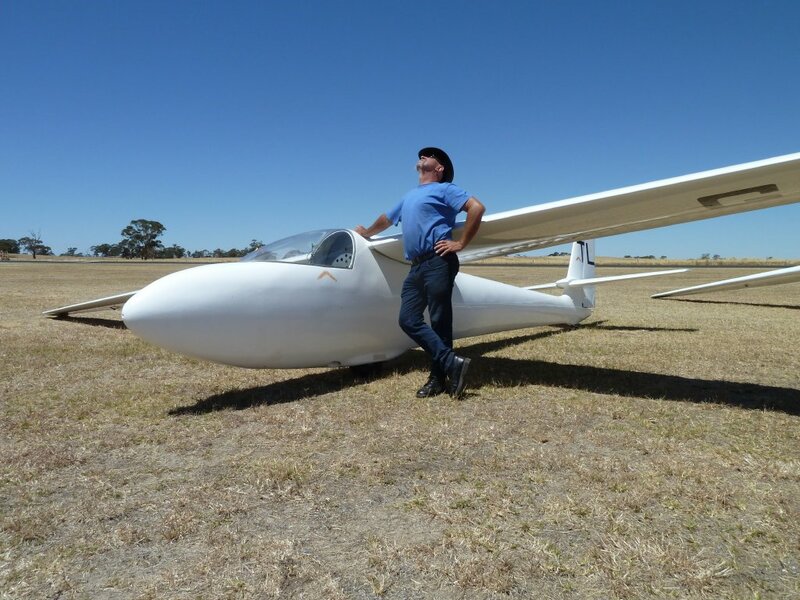 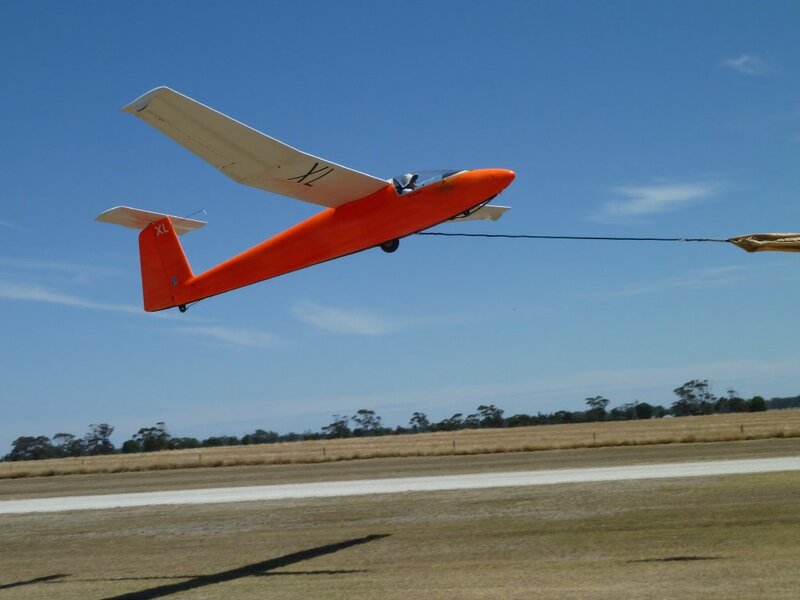 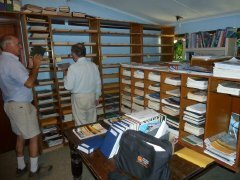 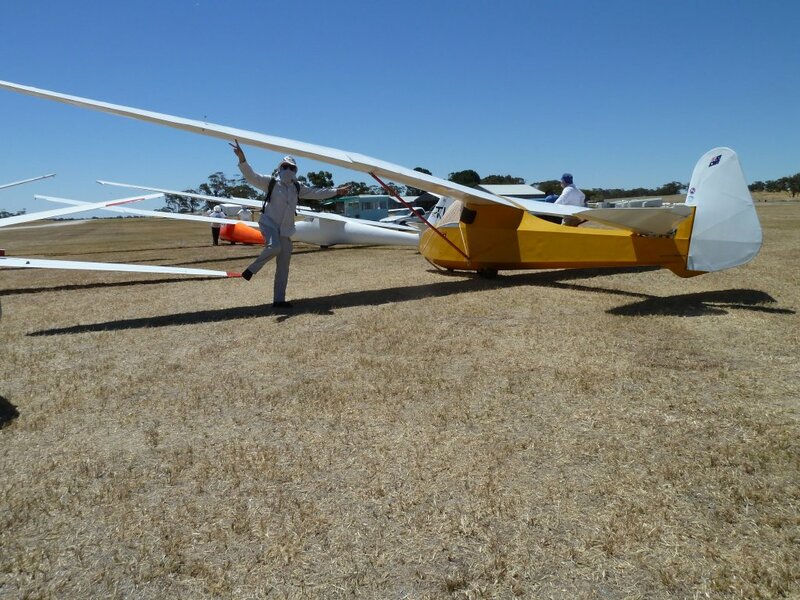 The stress free and relaxed flying of the vintage sailplanes, inexpensive, pleasant to handle and capable of good soaring at their relaxed flying speeds, is a pleasure enjoyed by pilots from all age groups. 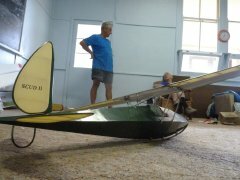 Modellers also join in at the rally with a variety of beautifully built vintage models to replicate the real thing. 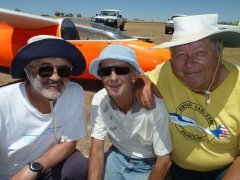 SZD-30 Pirat VH-VH-GXL with John Lawson, Hans Prem and John Ashford. Other members and friends present included Keith Willis with his PW-5, Keith and Edna Nolan with their Sapphire ultralight, Sylvia Sharman, Martin Simons, Alan Bradley, Geoff Hearn, Ged Terry from UK, John Pollnitz, Emilis Prelgauskas, Chris McDonnell, Doug Cole, George and Helen Buzeleac, Colin and Lesley Collyer, Alan and Margaret DeLaine, Kim Van Wessem, Peter Brookman, Brian Gerhardy and Marcus Trnovski, Ian Bogaard, Gary Crowley, Kevin Barnes and Ted Bowden. 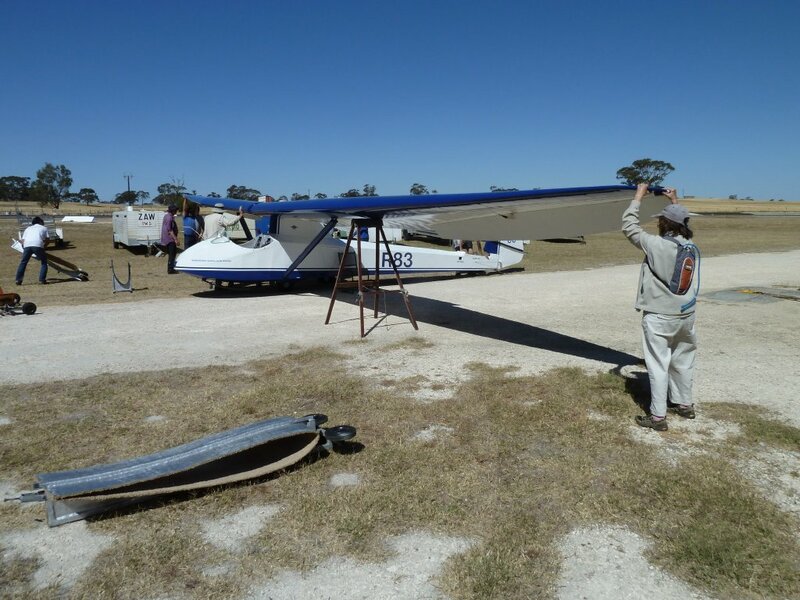 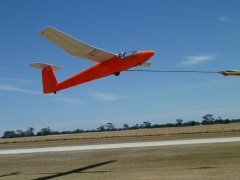 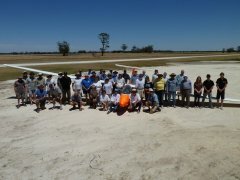 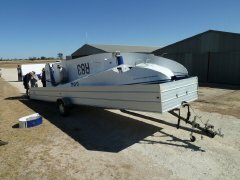 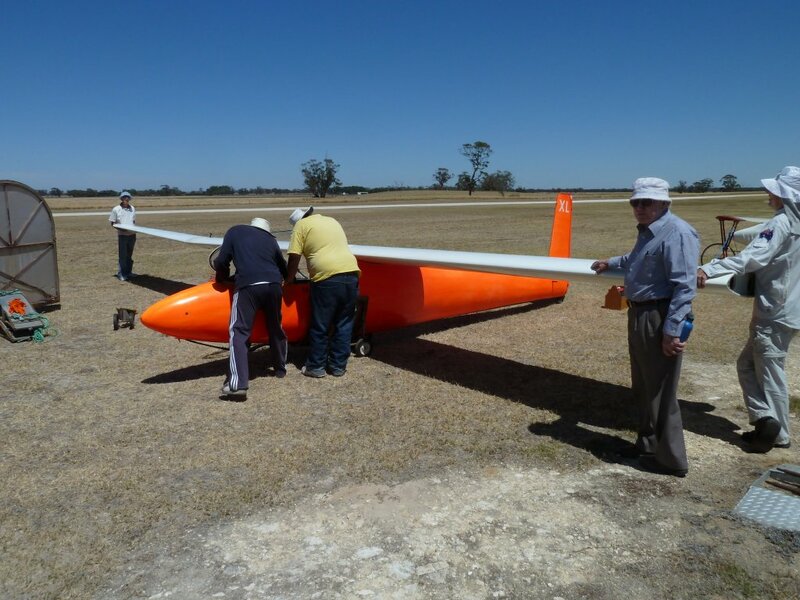 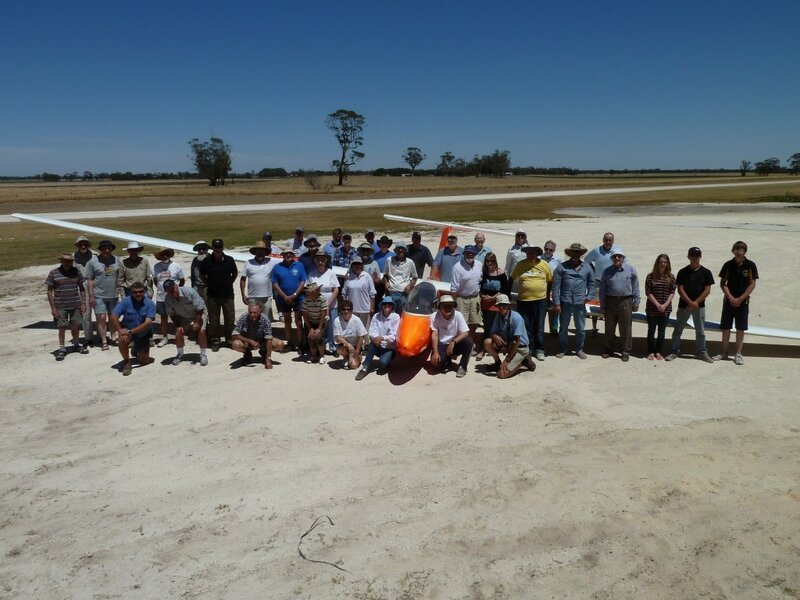 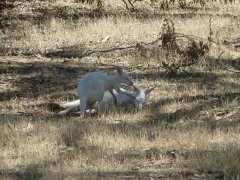 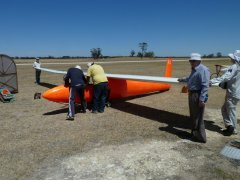 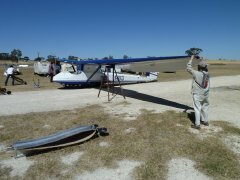 Thursday's AGM voted that we offer our K4 vintage two-seater to the Australian Gliding Museum, who are better placed to carry out upcoming major maintenance including re-covering, and also that $3,000 be set aside to assist VGA members to represent Australia at the Vintage Glider Club International Rally at Lasham, England, in early August 2013. Renmark Trophy for the longest flight during the Rally: Erik Sherwin with 194 km. 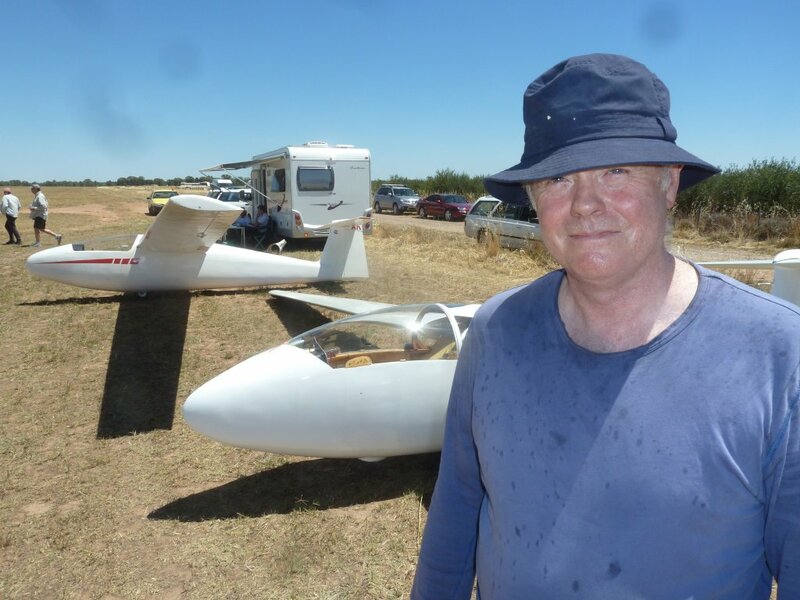 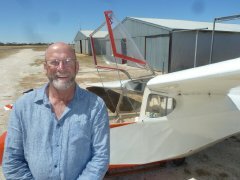 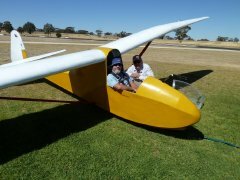 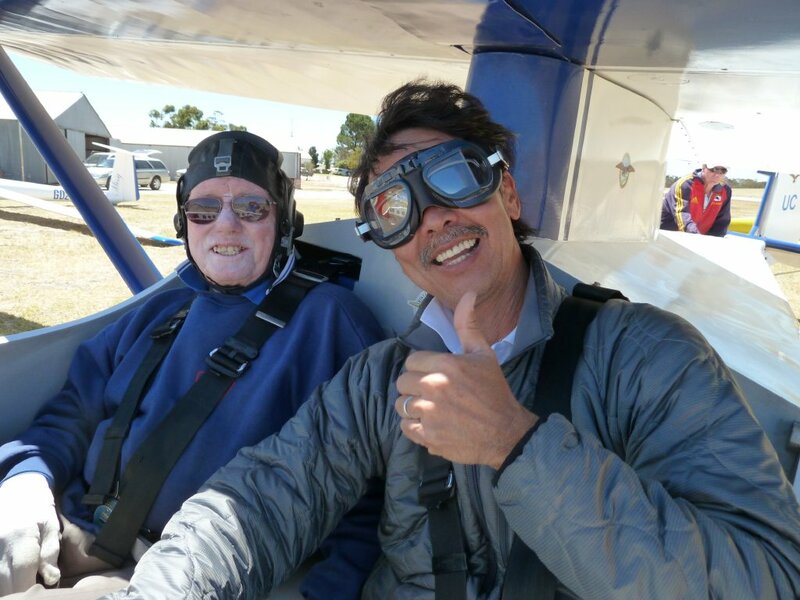 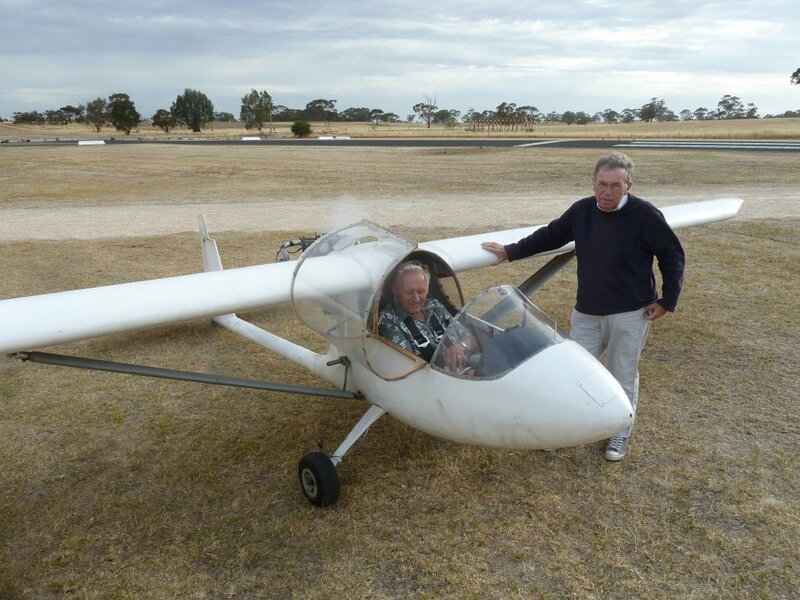 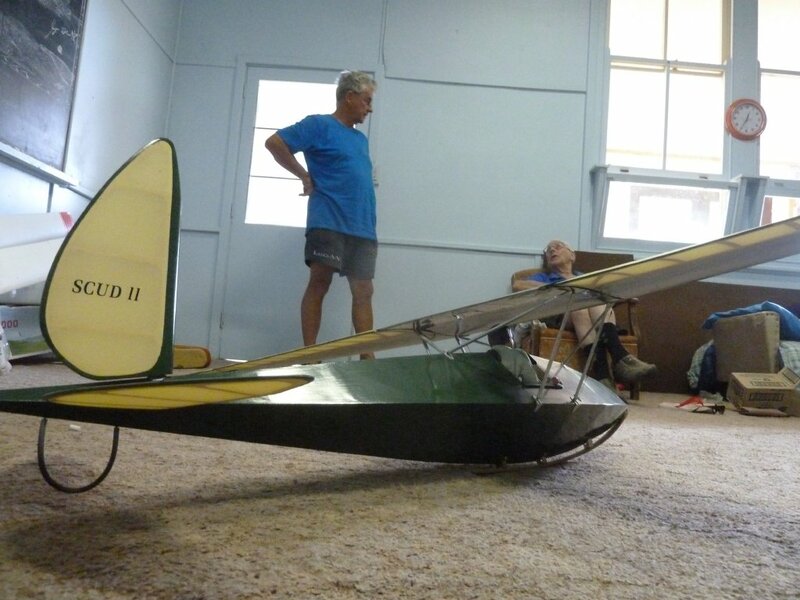 "Feathers" Encouragement Award: new member Brian McIntyre from Millicent, who purchased Kookaburra VH-GNZ and did his first solo (second time around) during the rally. Grateful thanks are due to Ian Patching for running the rally, all the Bordertown Boys for running a slick operation, those who provided the fabulous meals each evening, as well as all those who attended and contributed to the success of the event.